This is an article that appeared in MoneySense about How to get top dollar for your home and some information the current state of our real estate market in 2011. 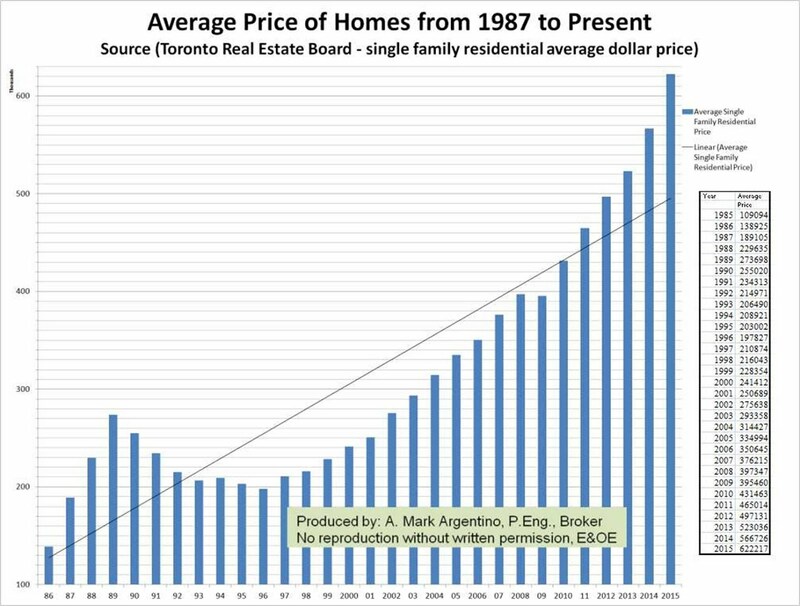 Too bad we didn't have the foresight back then to see how much the average price would increase, otherwise we would have purchased many properties! I received this email and thought I would share the contents with you. I am a firm believer that 'whatever the mind can conceive and believe, it will achieve' This has been my credo since I can remember. I firmly believe that you have to visualize your success in order to become successful in life or any venture you undertake. Some of the "words of wisdom" that came across my plate recently are shown below. The key is that you can't afford to be an average leader. So, how do you become the great leader that you want to be? One method is by studying, learning and teaching the principles that Dr. John C. Maxwell shares in his powerful program, Lessons On Leadership. He talks about LEADERSHIP DEVELOPMENT, SUCCESS and TEAMWORK. This is a comprehensive program for self-training, teaching and mentoring. 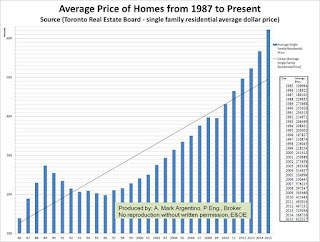 * Developing a winning strategy or "big idea"
The graph below shows a graph of sales price data obtained directly from the Toronto Real Estate Board showing the average selling price of single family homes from 1985 to date in our GTA marketplace. Note the historical trends for spring and fall price increases, where spring typically has a larger increase compared to the fall. Interest rates are always on people's minds. 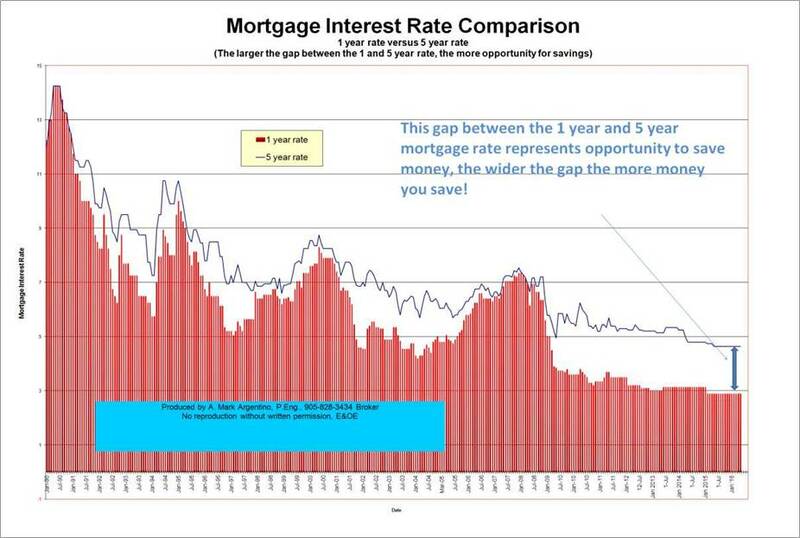 A very interesting relationship is between the 1 year and 5 year mortgage interest rates compared over time. People often ask me if they should choose the short term rates or lock in for the long term rates with their mortgage. The answer is not simple and often depends upon your personal situation and your risk tolerance, read more about locking in your mortgage for the long or short term. The graph below shows you the difference between the 1 year rate and the 5 year rate. 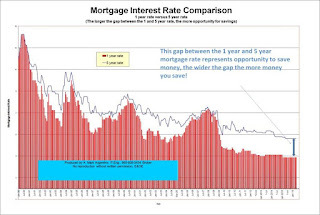 The wider the gap, the more opportunity for you to save money by having a short term mortgage. This may give you some insight into what you may wish to do by comparing the difference between the short and long term rates over the past decade or so and how the difference fluctuates. There were 22,575 sales in the first quarter of 2016 and the year-over-year growth rate for sales was 15.8 per cent for Q1 2016. 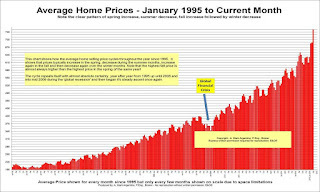 See more at this page about average prices and read the TREB full price and data report below. TORONTO, May 4, 2016 – Toronto Real Estate Board President Mark McLean announced that there were 12,085 sales reported through TREB’s MLS® System in April 2016. This result, which represented a record for the month of April, was up by 7.4 per cent in comparison to April 2015. For the TREB market area as a whole, annual sales growth was experienced for all major home types except semi-detached houses. In the City of Toronto, sales were down for detached and semi-detached houses as well as townhouses on a year-over-year basis. This dip in sales in the ‘416’ area code was due to a lack of low-rise listings. Many would-be buyers were not able to find a home that met their needs. “While April’s sales result represented a new record for sales, that number could have been even higher if we had benefitted from more supply. In the City of Toronto in particular, some households have chosen not to list their home for sale because of the second substantial Land Transfer Tax and associated administration fee. The lack of available inventory, coupled with record sales, continued to translate into robust annual rates of price growth,” said Mr. McLean. Home selling prices continued to trend upward in April. The MLS® Home Price Index Composite Benchmark was up by 12.6 per cent year-over-year. The average selling price was up by 16.2 per cent. The higher growth rate reported for the average home price, as compared to the MLS® HPI, points to a greater share of high-end home sales this year compared to last. This means that consumer lending rates should remain the same. Growth in the global economy is expected to strengthen gradually from about 3 per cent in 2016 to 3 1/2 per cent in 2017-18, a weaker outlook than the Bank had projected in its January Monetary Policy Report (MPR). After a slow start to 2016, the US economy is expected to regain momentum, but with a lower profile and a composition that is less favourable for Canadian exports. Financial conditions have improved, partly in response to expectations of more accommodative monetary policy in some major economies. Prices of oil and other commodities are off their earlier lows and slightly above levels assumed by the Bank in January, but remain well below historical averages. Nonetheless, the Bank expects deeper cuts to investment in Canada’s energy sector than were forecast in January. Meanwhile, the Canadian dollar has firmed, reflecting shifting expectations for monetary policy in Canada and the United States, as well as recent increases in commodity prices. The Canadian economy’s complex structural adjustment to the oil price shock is ongoing and will dampen growth throughout the Bank’s projection horizon. First-quarter GDP growth appears to have been unexpectedly strong, but some of that strength is due to temporary factors and is likely to reverse in the second quarter. Still, it does appear that the positive forces at work in the economy are starting to outweigh those that are negative. Non-resource exports are expected to strengthen, but their profile is weaker than previously projected, in part because of slower foreign demand growth and the higher Canadian dollar. The economy continues to create net new employment, especially in services, despite job losses in resource-intensive regions. In this context, household spending continues to expand moderately. While business investment is still shrinking due to sizeable declines in the energy sector, it is expected to turn positive later this year. The complex adjustment figures importantly in the Bank’s annual review of the economy’s potential, which has resulted in a lower estimated range for potential output growth. TORONTO, April 5, 2016 – Toronto Real Estate Board President Mark McLean announced record TREB MLS® home sales for the first quarter of 2016 following a strong result for March transactions. There were 10,326 sales in March and 22,575 sales in the first quarter. The year-over-year growth rate for sales was 15.8 per cent for Q1 2016 and 16.2 per cent for March 2016. For the TREB market area as a whole, double-digit year-over-year rates of sales growth were experienced for all major home types during the first quarter. The positive annual growth in sales was not mirrored on the listings front. The number of new listings entered into TREB's MLS® System during March and the first quarter were down compared to the same periods in 2015. “At the beginning of 2016, TREB’s outlook for the year pointed to a strong possibility of a second consecutive record year for home sales. This outlook was based, in part, on upbeat consumer survey results pointing to robust home buying intentions. It is clear that these upbeat intentions have translated into record first quarter results,” said Mr. McLean. The MLS® Home Price Index Composite Benchmark for March 2016 was up by 11.6 per cent compared to March 2015. The average selling price for all home types combined was up 12.1 per cent year-over-year in March and 13.6 per cent in the first quarter. “Demand was clearly not an issue in the first three months of 2016, regardless of the housing market segment being considered. The supply of listings, however, continued to aggravate many would-be home buyers. We could have experienced even stronger sales growth were it not for the constrained supply of listings, especially in the low-rise market segments. The resulting strong competition between buyers has underpinned the double-digit rates of price growth experienced so far this year," said Jason Mercer, TREB’s Director of Market Analysis. Good morning from Fabulous Mississauga! As most economists expected, the Bank of Canada refrained from cutting interest rates at this week's policy announcement meeting. The key policy overnight rate is only 50 basis points (one-half of one percentage points or 0.5%) and another 25 basis point (bp) cut would only reduce the Bank's ability to take action, if needed, in the future. The recent economic news has shown a marked improvement, precluding the Bank from following on the previous two rate cuts this year. TORONTO, March 3, 2016 – Toronto Real Estate Board President Mark McLean announced Greater Toronto Area REALTORS® reported a record number of home sales through TREB’s MLS® System in February 2016. There were 7,621 transactions reported this past February – up 21.1 per cent compared to February 2015. The number of new listings entered into TREB’s MLS® System was also up on a year-over-year basis, but by a lesser 8.2 per cent. The fact that the annual rate of sales growth outstripped the annual rate of price growth shows a tightening of market conditions compared to last year. Seller’s market conditions continued throughout the GTA in February. Strong competition between buyers resulted in a healthy growth in selling prices. The MLS® Home Price Index (HPI) Composite Benchmark was up by 11.3 per cent year-over year. The average selling price was up by 14.9 per cent annually to $685,278. “Recent polling conducted for TREB by Ipsos suggested that GTA households will remain upbeat about purchasing a home in 2016. Early sales results for January and February certainly support this view. With strong sales up against a constrained supply of listings, home prices continued to trend strongly upward,” said Jason Mercer, TREB’s Director of Market Analysis. The Bank of Canada leaves key interest rate unchanged at 1/2% most anticipated interest rate announcement was on January 20, 2016 and the decision was that the Bank of Canada will be maintaining its overnight rate at 0.5%. This means there will be no changes to prime rate. The last increase of the prime rate was September 2010 and this the longest stretch of no increase in history. Economists have been predicting that the prime rate will remain unchanged until sometime in 2016 and some even longer than that. There are others who are predicting no change for 5 years or longer. Many have been predicting the prime rate will increase 'next year' every year for the past 5 years now. Personally, I believe that the low interest rates that we are currently experiencing are generational. What I mean is that I predict we will see rates at or near their current levels up to about 5% for the next 15 years. It's already been 5 years of low interest rates and it will likely remain this way for the next 15, a total of 20 years, a full generation! That's my prediction. You can still find discounts on variable rate mortgages as low as prime -0.5% with most banks offering about prime -0.10%. You can find 5 year fixed mortgages as low as 2.6% and even slightly lower sometimes.